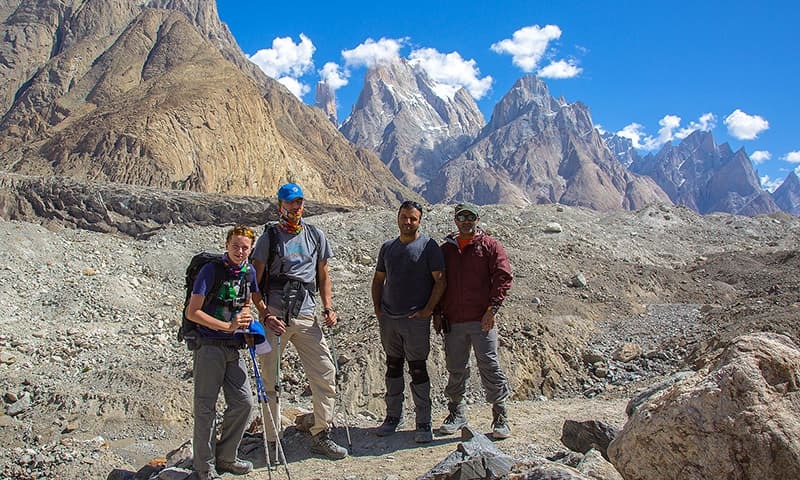 I recently had the pleasure of completing the famous Gondogoro La trek in the Karakoram mountains. The trek has on offer stunning views of peaks, glaciers and valleys, but the journey comes with having to undergo much physical hardship. The journey demands a high level of physical as well as mental fitness so I felt quite proud of myself once I managed to finish the trek. Normally, people share such achievements on social media for everyone to see and like in order to feel even better about their exploits. But I managed to resist that temptation. Instead, I felt I should perhaps try and understand what actually went into my apparently heroic feat. Local guides and porters were the real heroes in our adventure. 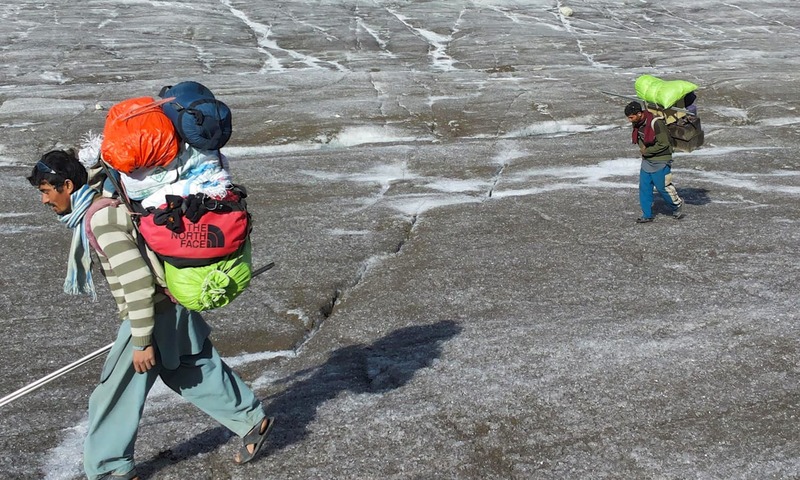 Normally, for a trek like this, one would have to carry a 15 kilogram backpack for an average of 18 kilometres per day on glaciers and mountainous pathways. But how many of us could do that on our own? I know I did not. I only had some snacks and water on me and the rest of my things a local porter carried on his back. Normally, each porter ends up carrying 30-40 kilograms in total. Most of them are very adept at it and even manange to reach the camp sites well before everyone else. 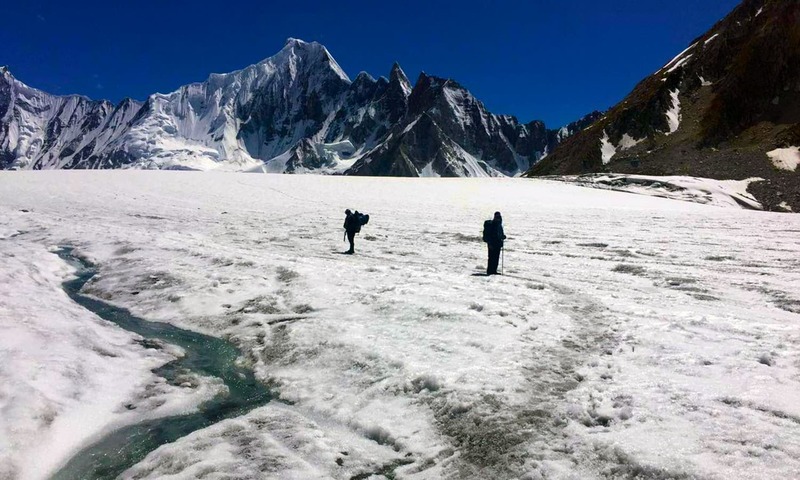 They often operate without adequate gear such as winter boots and gloves and take risks; three of the porters in our team got injured and one of them had to be taken to the nearest hospital, which was a day’s walk away. Aside from needing someone to carry one's things, one cannot navigate the passage on one's own. 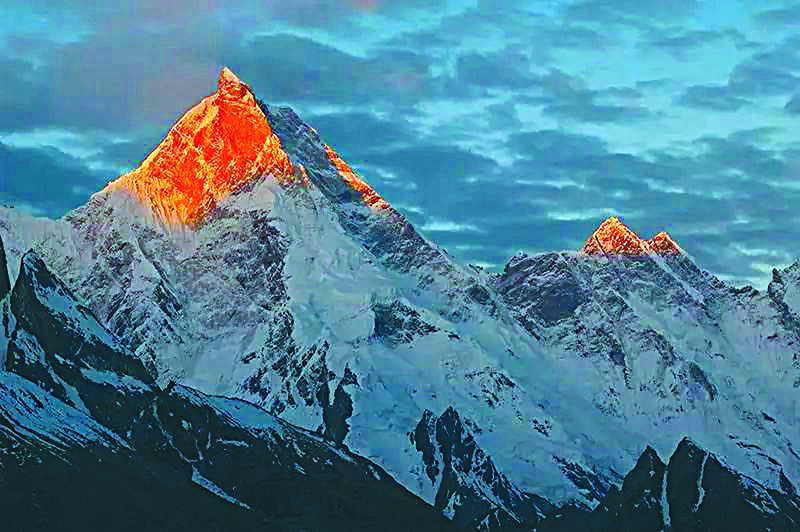 Before I could revel in my achievement of having completed the trek, the voice inside my head reminded me that it were the guides who helped me find my way through it. I was a little reluctant to accept this at first but in the end I understood that it was true. 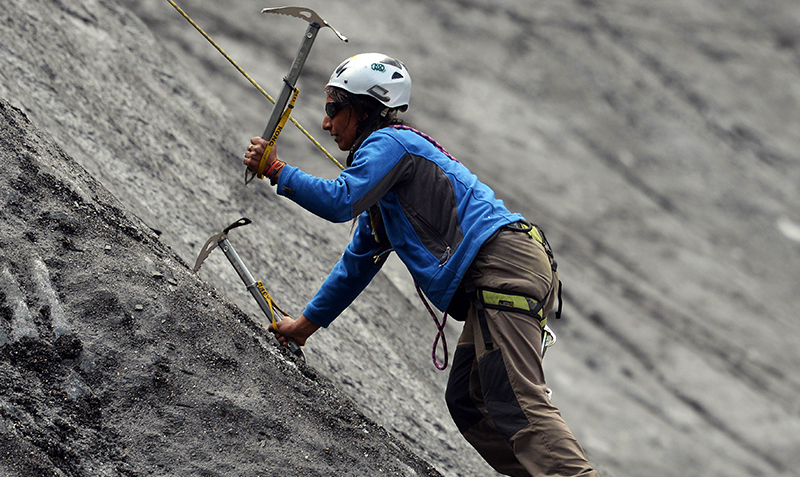 Many porters carry materials for more than one person, often without proper gear for themselves. Here, a porter is without winter boots. Without the route markings done by locals and help of guides along the way, you won’t be able to know the way. On one occasion, I got lost at a glacier junction point and had to wait for a guide to steer me to my destination (as well as save me from falling into a crevasse along the way). I didn’t cook my own food in these tough conditions, nor did I have the expertise to help anyone else. It eventually became embarrassingly clear that I had put very little effort in completing the trek compared to the porters. Since all the heavy materials are carried by porters, we didn't have but our personal bags to carry. The real heroes were the porters who risked their lives for a meager sum of money to carry all that we needed in order to survive and enjoy our adventure. The guides along the route were the heroes. The cooks who made sure we ate the right amount and type of food were the heroes. Even the mules and horses that carried up to 70 kgs of materials were the heroes. Such hazardous treks are hard for these animals and many develop serious injuries, with some even losing their lives in the process. I admit that unlike me, some trekkers carry their own equipments, cook their own food and are generally more self-sufficient. But even many of them cannot to do this trek successfully without the services of local guides. Recognising their work is important — what they do is underappreciated and highly underpaid. Valuing their work involves respecting them and recognising their hard work along with better remuneration. There needs to be more recognition of the work porters and guides do. Hats off!! to the writer. This is amazing! congratulations on getting this done. 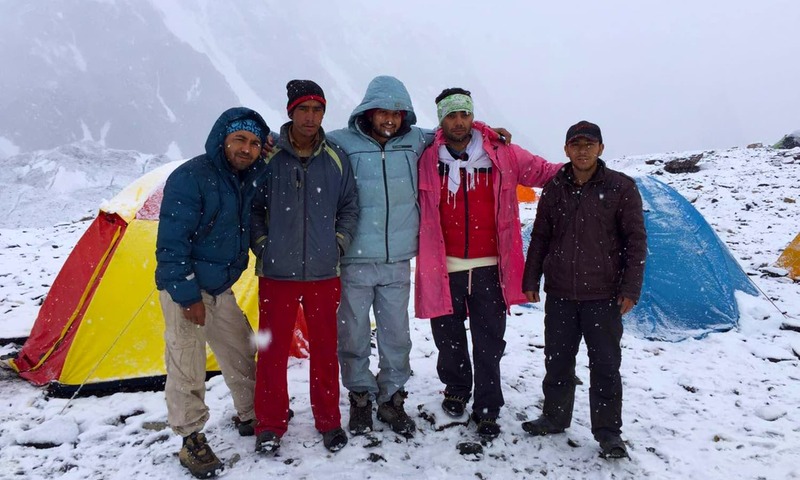 You are right that most of the work is done by porters and they should be highly appreciated. I was keen to see some photos of Gondogoro pass / top but you haven't posted any. Did you do from Hushe side of Askole? very much needed article on them,. 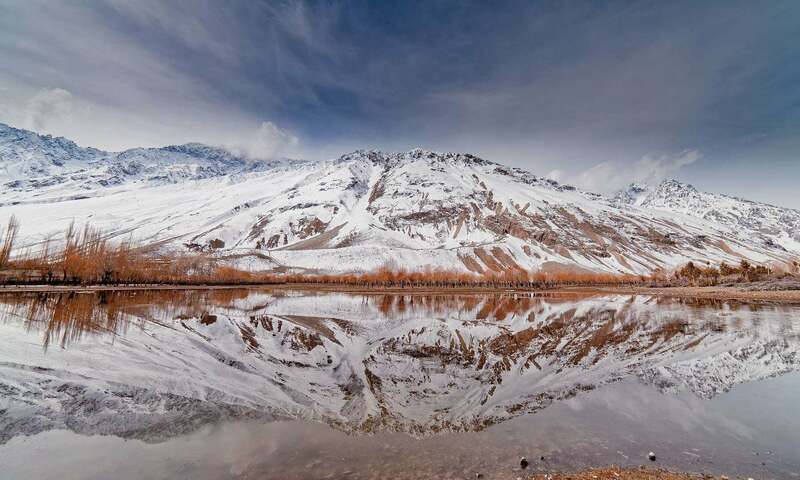 also we need to make regulation to protect natural environment as tourism industry is gaining pace in northern areas.. have to protect environment so that our kids and our grandchildren also enjoy heaven on earth..
Well done for calling these ports out. I find it annoying when people brag about how they climbed this mountain or that and how hard it was an how they should be celebrated. When actually the porters did the hard work. Shocking. Hardly anyone of these labors a has any proper shoes for this difficult place! Beautifully written ... But believe me you are my hero buddy !! We need to appreciate these hard working peoples. Instead of trying to improve their 'gear' one should analyse why are they forced to do such inhuman jobs. Give them skills so that they can earn a livelihood doing 'normal' jobs like the rest of us. They do it to put food in the table for their kids, not coz they like it ! Wow!!! I enjoyed every word of this article. 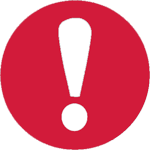 Thank you for sharing your experience and appreciation of these great local unsung heroes. They truly are serving the country in the best way possible. I am not sure how much is being done for the locals but I hope things get better so everyone can benefit. THANK YOU once again for sharing. 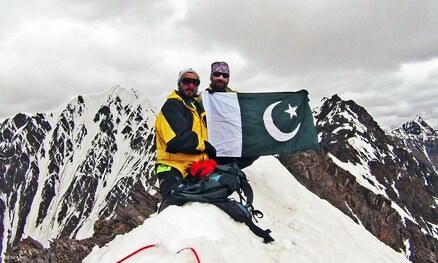 Pakistan Zindabad!!! A real gem ..!!! ... and you are my hero. can you share the cost of the trip in terms of the porters and logistics ? @Muhammad Daud Alam Janab, many thanks, its an honor for me. Nice piece. Thanks for sharing and appreciating the heroes behind the veils. Well done dear. I appreciate that you paid tribute to people who provided ground support. 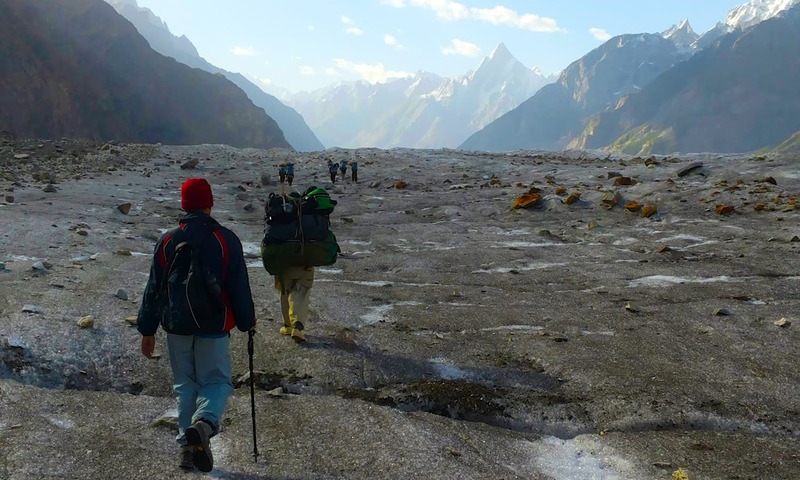 Without the help of porters, guides and cook, very few of us will manage to do such treks. Congratulations for this wonderful achievement and best wishes for more feats in future. Congrats for your achievement and hats off to you for reporting about people who do all the work and hardly get appreciated. Keep it up. A very important point made by the author!